We ditch the usual Tuesday festivities for a massive THURSDAY showing of Rockaoke 101 featuring The Naturals, your LIVE BAND ON DEMAND!! You know the schtick: 450 songs plus a shot at some more Led Zeppelin classics!! 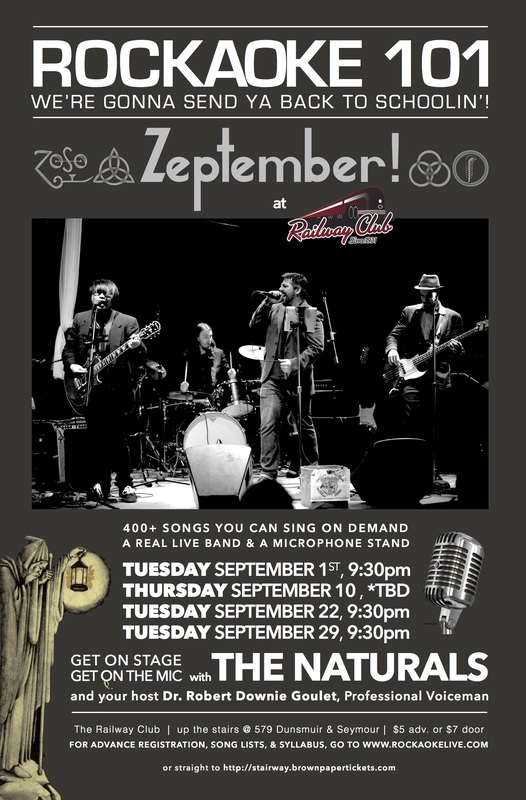 Get down to the Railway Club for a Thursday night you won’t soon forget!